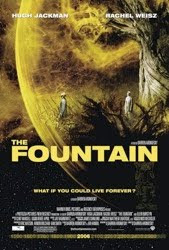 While honoring yet another listener request, Patrick and Alex get appropriately pretentious in this f'ing of Darren Aronofsky's 2006 sci-fi romance The Fountain. I was exactly that person that saw the trailer and knew I had to see it in theaters, so that's exactly what I did, foolishly bringing my girlfriend at the time who thought it was confusing/boring/etc. Glad you guys liked it. Question: have you gone back since making this podcast and watched it again? If so, did you like it as much?